In late August this year, Brooke and Susie moved to St. Louis from Destin (Florida) and Chicago, respectively. They both underwent a surgical procedure called a periacetabular osteotomy, or PAO for short, here in St. Louis. This is a rather invasive hip surgery that involves cutting bone and screwing it back in a new position with large 3–4 inch screws. 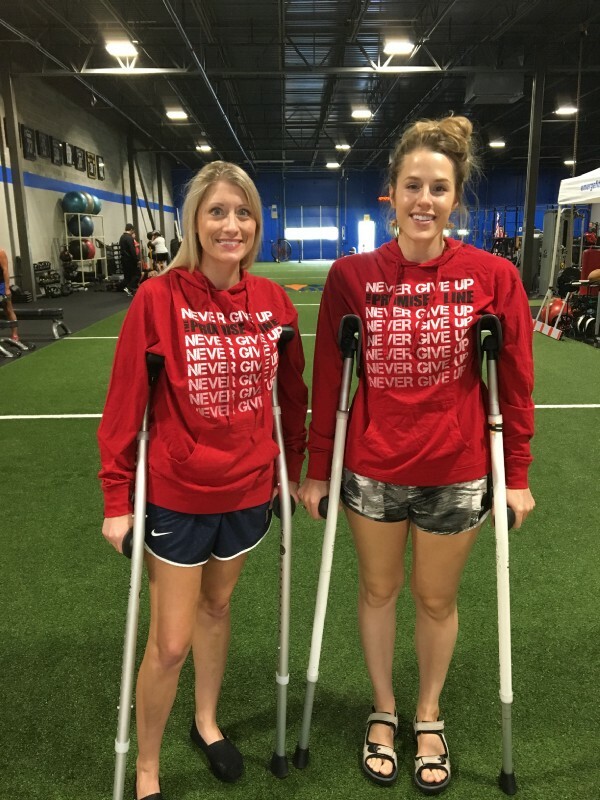 Nine days after surgery, they were in Emerge to begin their post-op reconditioning. The process at Emerge is accelerated as far as therapy goes, but can feel very slow to the person learning to walk without crutches again.